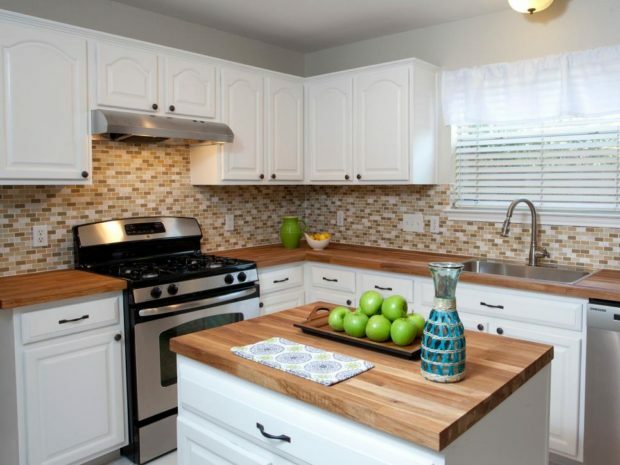 You have decided that it is time to remodel your kitchen. Furthermore, you plan on doing all the work yourself. Before you start, take several deep breaths as there are a few things you need to consider in order to make this project a successful reality. Regardless of how big or how small your remodeling will be; it is important that you have a plan in mind. Write down everything you plan to accomplish and the time you will set aside for your project. Remember that your kitchen is an essential room in your house, so unless you have an alternate room where you will cook and eat during the renovations, you need to proceed rapidly once you start your remodeling. Set aside a budget for each item written on your list. Shop around and watch for deals. If you pay close attention, you will see that renovation centres often offer deals on kitchen items, flooring, or plumbing features at various times during the year. Buy what you need when it is on sale and store it in the garage or the basement until you begin the renovation. In your budget, plan to save around ten percent for surprises. This will become helpful, especially if you intend to upgrade the plumbing or the electricity. Older houses might have features that need upgrading and doing it during a renovation is ideal. When selecting your residential joinery, make sure the cabinets you choose have a warrantee long enough to allow you to enjoy them without worries. During demolition, carefully remove your old cabinets and put them up for sale. You will be surprised to see how quickly they sell as other people will want them for their garage or cottage. A fresh coat of paint will be in order. These days, paint is available with primer integrated, a feature that saves you time and money as often times two coats will be enough to cover your walls. If you chose a darker color, you might need a third one. Are you replacing your sink and kitchen faucets? Of course, you are. If this will be your first install, there are many how-to videos on line that you can watch to know exactly what to do so your new faucets run properly. Don’t forget to shut off the water before you begin playing with the pipes. The same goes with electricity. Any changes you make to outlets or circuits should be inspected by a certified electrician. Even though you want to do as much as you can yourself, there are still a few things you need to leave to the experts. Finally, once you start, don’t stop until you are done. This does not mean you need to work twenty-four hours per day, but for each item on your list, set a deadline and respect it. Completing a kitchen remodel is an exciting and tiring task, but once it is done you will fully appreciate it. It is worth a few late nights to make sure the project gets done.